Red Pen Version 2 Released. If you haven’t heard of redpen.io yet, now is a perfect time to check it out. They just released “Version 2” with some cool new features. Red Pen is a handy little collaboration and review tool that simplifies the process of creative reviews and approvals. It makes sharing, commenting, and getting updates on design projects lightning fast, and most importantly…simple. In the world of email marketing, it’s amazing just how much as evolved over the last couple of years. Even we were surprised to learn that 51% of all emails are now opened on mobile devices. (Source: Litmus: Email Testing and Email Marketing Analytics ) What does this mean when it comes to planning your email marketing campaigns? You need to think about mobile FIRST. The solution? Responsive email design. Which will look good and be effective on both mobile and desktop clients alike. We still see a lot of emails only being built with traditional email clients in mind. They look great in most desktop email clients, but they usually are very image heavy and not all that reader friendly when it comes to viewing on mobile devices. Image heavy campaigns also limit the way your user can interact with your email. This is all old news to industry experts, but sometimes it can be confusing. 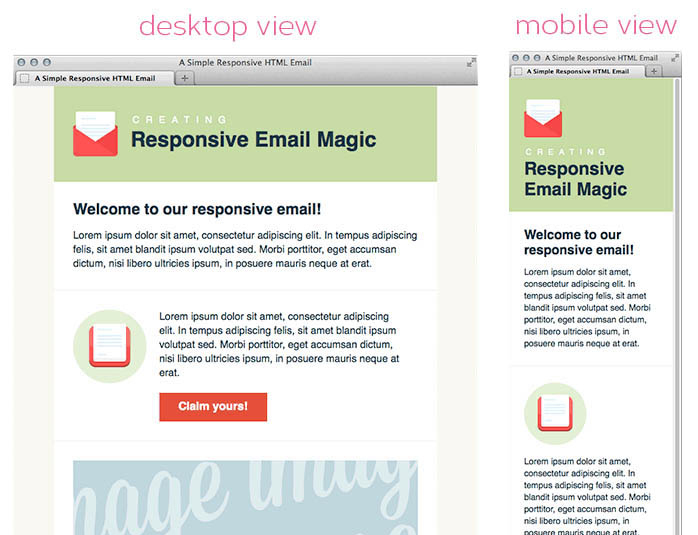 So we wanted to share exactly what responsive email design is. The basic premise: Content will resize and optimize itself based on the device it is being viewed on. My family and I are in the middle of moving residences, so I have started setting up utilities in our new home. We really needed to evaluate our media consumption habits because I just did not feel like we were getting our money’s worth from our cable television service. Turns out, I’m not the only one. According to Parks Associates, the shift from cable and satellite to IPTV (Internet Protocol television) is on the rise. The firm is predicting that IPTV subscribers will increase from 8.8 to 18.6 million by 2017 in the United States alone. I must really be behind the eight ball, because even PBS has published a step-by-step guide on how to cancel cable and stream to your television. This is where television consumption is heading. Telecommunications companies see this and are marketing their high-speed broadband services as the market moves from cable and satellite services to IPTV. It will be interesting to see how the market shifts in this direction over the next several years. Does the World Need Another iPhone 5 Blog Post? With all of the iPhone 5 hoopla, I couldn’t help but wonder what the big deal is. Yes, it’s Apple. Yes, it’s a new iPhone. Apparently, that is enough to warrant a bazillion news articles and blog posts about Apple’s latest iteration. Then I came across the latest LEAP Index by New Media Metrix. LEAP stands for Leveraging Emotional Attachment for Profit, and the firm measures peoples’ attachment to 350 brands across 45 categories. iPhone ranked #1 for 2012, edging out iPod that reigned supreme for the last couple of years. In fact, Apple and its product brands took 4 of the top 10 spots, technology brands 7 of the 10. The study clearly indicates we are becoming increasingly attached to technology, devices and brands that aim to streamline our lives. We like gadgets and we like our iPhones. By most accounts, iPhone 5 is not revolutionary. It is sleeker, prettier, a tad faster with a larger screen; some argue its style trumps its substance. The brand, however, is strong enough to overcome that, largely in part from its predeccesors, which arguably were quite revolutionary. We could spend days discussing all of the other parts that contribute to the power and mystique of a standout brand, but let’s not go there just yet. I’ve got an iPhone 5 to preorder. Director : M. Night Shyamalan. Writer : M. Night Shyamalan. Producer : Mark Bienstock, Jason Blum, M. Night Shyamalan. Production Company : Universal Pictures, Blumhouse Productions, Blinding Edge Pictures. ‘Split’ is a movie genre Horror, was released in January 19, 2017. M. Night Shyamalan was directed this movie and starring by James McAvoy. This movie tell story about Though Kevin has evidenced 23 personalities to his trusted psychiatrist, Dr. Fletcher, there remains one still submerged who is set to materialize and dominate all the others. Compelled to abduct three teenage girls led by the willful, observant Casey, Kevin reaches a war for survival among all of those contained within him—as well as everyone around him—as the walls between his compartments shatter apart. Do not miss to Watch movie Split (2017) Online for free with your family. only 2 step you can Watch or download this movie with high quality video. Come and join us! because very much movie can you watch free streaming. 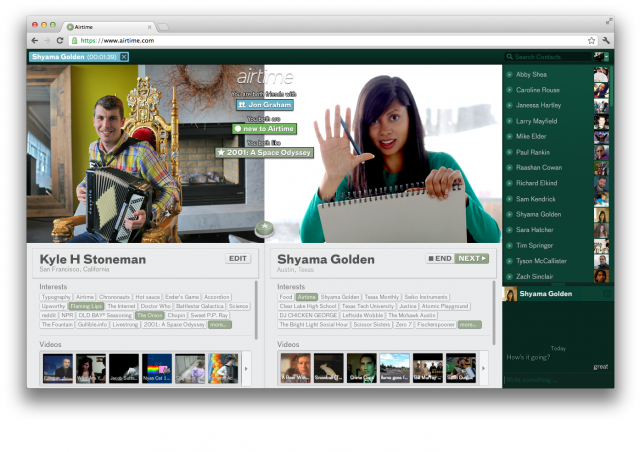 Airtime is being described as a free browser-based Skype/Google+ hangout/Facebook chat web application, with a little bit of Chatroulette thrown in. This person-to-person video calling application was built by Napster co-founders Shawn Fanning and Sean Parker and is built on top of the Facebook platform so it does require a Facebook account for use. Fanning and Parker call this a “social discovery” application, as it aims to help people make new friends online by allowing users to chat with people they don’t know via a video call. Users will log in through Facebook and will then be able to get Airtime alerts through instant messages. Airtime will also be able to find people a partner based on common interests and mutual friends. If calls with strangers isn’t your thing, that’s okay because the app works for friends too, similarly to Skype. Though this app has a lot of fun features: being able to watch videos together, give each other props by having a shower of stars take over the screen, there are a few functions that are not available including sharing music and multiparty chats. The Airtime launch had a lot of celebrity backing at their launch yesterday, but it’s still up in the air whether this will be an app that sticks or comes and goes like Chatroulette. What do our readers think, will you be trying this app? The iCache Geode was announced in April and interested parties have been patiently waiting for this product to actually become available. The iCache Geode “is an iPhone case with a particularly wonderful twist — in addition to just wrapping a protective layer of plastic around your phone, it also sports a rewritable magstripe card on its rear end.” Once users install the corresponding app, they can store their credit card information and turn this case into a GeoCard. Additionally, there is a small e-ink display on the back of the Geode which stores information for your loyalty cards. In order to make sure your credit card information is secure, there is a small fingerprint reader that only allows access to you. With rumors of the new, slimmer, redesigned iPhones on the way, users will want to make sure that they are sticking with their iPhone 4/4s for a while longer before making the $199 investment. Will you go out and buy one? Amazon and Xbox have teamed up to take on Netflix. 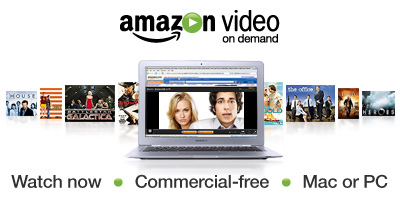 Amazon announced today that they will be providing an Instant Video service that utilizes the Xbox 360. The Amazon Instant Video App costs $79-per-year (“Prime” service), but allows users to stream more than 17,000 movies ant TV shows from their Xbox 360. Although there are no additional Amazon costs, besides the yearly $79, users will need the Xbox Live Gold Membership from Microsoft, which costs about $50. This announcement is a big deal because Xbox 360 accounted for nearly 25% of Netflix’s traffic last year. The partnership between Amazon and Xbox 360 not only benefits Amazon but also aims to get more people hooked on the media console, especially with Amazon’s Whispersync technology, which lets you start a movie or show on your Kindle Fire and switch to you Xbox 360, without interruptions. Google’s Project Glass first made its way onto the scene this past April, when the company announced that they would be bringing the world the first augmented reality glasses. These glasses will project augmented reality images into the wearer’s field of vision, as well as having the ability to take pictures & video. A great example of the glasses functionality is that when someone is wearing them, they will be able to see weather forecasts and what’s on their calendar for the day, as well as send texts and emails as projected in front of you. Cadillac is giving away an iPad to anyone who purchases a 2013 Cadillac XTS. The iPad will be pre-loaded with Cadillac’s CUE app, My Cadillac app and OnStar remote link. The CUE app simulates most of the controls and features of the CUE center stack in the XTS. It provides tutorials and videos on how to operate each feature and allows you to practice using the features, without worrying that you might break something in your new car. Having the ability to “test drive” your car (via touch screen and your voice) from your couch is a novel idea and good use of technology. Cadillac is also adding a “geek squad” of sorts for cars with the CUE system. These 25 Connected Consumer Experts will be spread out across the US to provide customer assistance and add an extra level of luxury service to owners. Is this enough of an incentive to test drive this vehicle? Or do you think the company is simply rewarding those who are loyal customers and who would be purchasing the car anyways?